VANCOUVER’S BEST HYBRID SEO & PPC SERVICES! We are a team of certified Google professionals meeting and exceeding Google’s performance requirements. We have established solid overall growth, expanding our customer base and generating revenue. We increase our ad placements, providing a higher spend across managed accounts. You can’t trust your website to just anyone. 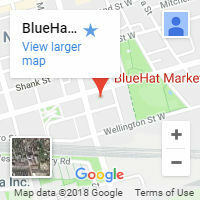 BlueHat Marketing is your #1 SEO agency in Vancouver. We are focused on the needs of local businesses, dedicated to emphasizing the best of your Vancouver business through intelligent online marketing strategies that really connect with people and boost your visibility. Shop around and you’ll find SEO service providers offering the same generic services. The BlueHat team is different because we are specialists. Our goal is simple: when your site is at the top of local Vancouver search results, you gain more calls, a highly-visible business, and a stronger brand. By using our specialized knowledge, resources, and experience, we help you dominate search results for the Vancouver area. Service providers in Vancouver have an extremely competitive market to deal with, particularly contractors. On average, people conduct Google searches for “plumber in Vancouver” about 2,000 times per month, which results in a huge volume of potential customers. People choose the top search result over 50% of the time and click on links found in the top three search results about 80% of the time. These stats mean companies need to be on top and stay on top if they want to be chosen over their competition. How do these companies do it? With BlueHat. Local SEO in Vancouver has one main goal: to raise your business’ website among the ranks of major search engines and maintain this status over time. The local angle implies that we are seeking to rank your website for locally based keywords involving city or region names. Ranking high on Google brings in more relevant leads to your website. Beyond ranking highly on standard organic results, local businesses have their own special listings that are associated with Google Maps and Places, which means getting your Vancouver business more visibility is critical these days. It’s a complex task with a simple goal, and we know how to get you there. As Vancouver’s SEO experts, we know that our expertise and experience is unmatched. Our award-winning digital marketing team proudly contains web design artists, tech innovators, social media gurus, and most importantly, SEO experts. With our combined years of experience, we have evolved into the best Vancouver SEO company. The goal of SEO is to ensure your site is always ranked at the top of search engine results, and we do this by utilizing top industry practices to organically push your website to the top of Google, Yahoo!, and Bing search results. The only way to achieve long-term high rankings without the low-brow gimmicks is to have a strong SEO campaign working for you. That’s where the most sought-after SEO agency in Vancouver comes in. 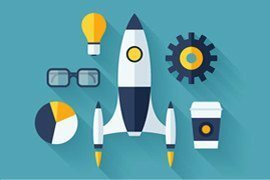 We’ll naturally increase your traffic, boost sales, and encourage repeat customers. BlueHat Marketing doesn’t make promises it can’t keep. 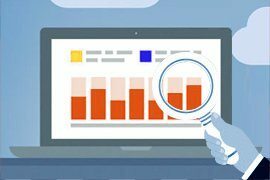 If your current SEO campaign just isn’t affecting your bottom line, contact us today for a FREE website analysis and we’ll show you how we can guarantee positive results! One of our Vancouver SEO experts will be happy to assess your website to uncover the key issues that may be preventing your site from reaching its full potential. We can design a customized SEO campaign that fits your business model, so it achieves the right kind of traffic that will improve not only site visits, but sales as well! If you’re unhappy with the outcome of your current campaign, contact us for our SEO services in Vancouver, Victoria, Whistler, and beyond. Get started today! We examine your business, website, keywords, competition and linkable assets using cutting-edge technology and tools. The more information we gather, the better we can plan an effective strategy for your campaigns. We construct a strategy that establishes a solid footing for your success to grow with the additional help of best practices and industry standards. We take your marketing to the next level with detailed precision. We put all the knowledge, planning and strategy into action. The key to staying ahead of the curve is through our employment of the best business intelligence in the industry. Follow our process step-by-step with real-time reporting and an easy-to-use interface. We always keep you in the loop so you’re aware of the stunning progress our efforts achieve for you. We manage your campaign properly and intelligently, saving you hundreds and thousands of dollars. 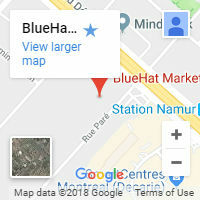 BlueHat Marketing® does SEO right. We guarantee your phone will ring with new customers thanks to our state-of-the-art call tracking software, call reporting, and local listings. Our services produce increased traffic, calls, and leads, which means more sales for your Vancouver business to expand. With our custom-designed landing pages, it’s easier for you to capture customer information and to benefit from new leads. 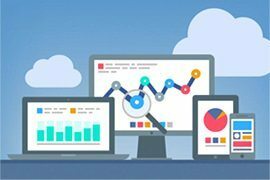 We get relevant and targeted traffic to reach your website by optimizing for your key demographic and employing business intelligence. Granular keyword analysis, detailed keyword choice to reach “ready-to-buy” audience looking for your services. All Ad Extensions – Click to Call, Sitelinks, Location etc. We reject cookie-cutter methods, which is why our approach to search engine optimization is highly customized to suit your needs. 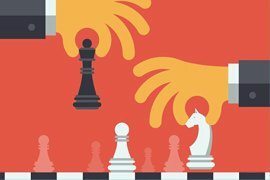 Our team knows what strategies to use at opportune times, and how to effectively apply them to your business. Beyond that, careful data collection is the key to understanding how to improve performance. Thoroughly analyzing your business is our top priority. We look at your past campaigns, target market, as well as your competitors. We define your goals and performance targets by using the data we collected. The end result is an online marketing campaign strategy moulded to your business’ requirements. Using powerful proprietary real-time data collection tools, our team constantly evaluates your Vancouver business’ performance and uses the feedback to take it to the next level. As SEO experts, we’ll suggest slight changes to make sure you get the most out of your search engine optimization budget at all times. We will rank your keywords within 6 months or we continue working for free until rankings are achieved. Call in today and mention the code: “Winter Warmth” to receive 15% off of your monthly bill when you become a customer. All new customers who sign up between December 13, 2016 to March 31, 2017 will be added to draw for a chance to win a CASH PRIZE OF $10,00!